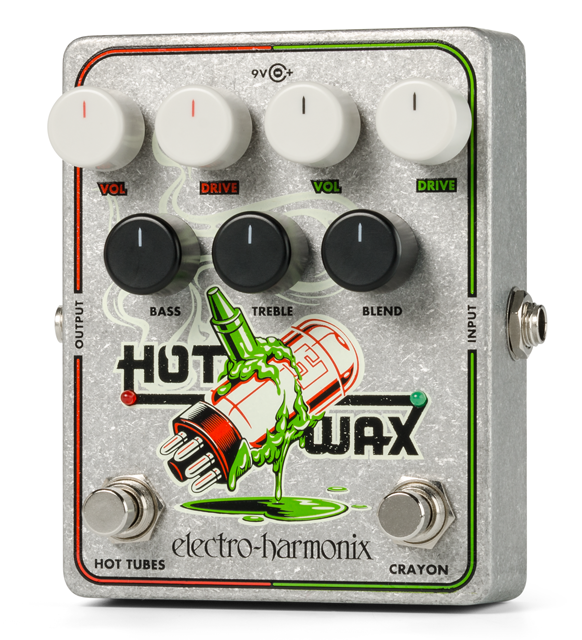 Awesome on guitar and bass, the Hot Wax fuses our Hot Tubes and Crayon pedals into one powerful dual-overdrive. Use each individually or stack them with the Crayon driving the Hot Tubes. Master EQ and Blend controls provide the tonal flexibility power players demand. The Hot Wax is the next evolution in inspired overdrives!